Enjoy the wild with a drink in hand. 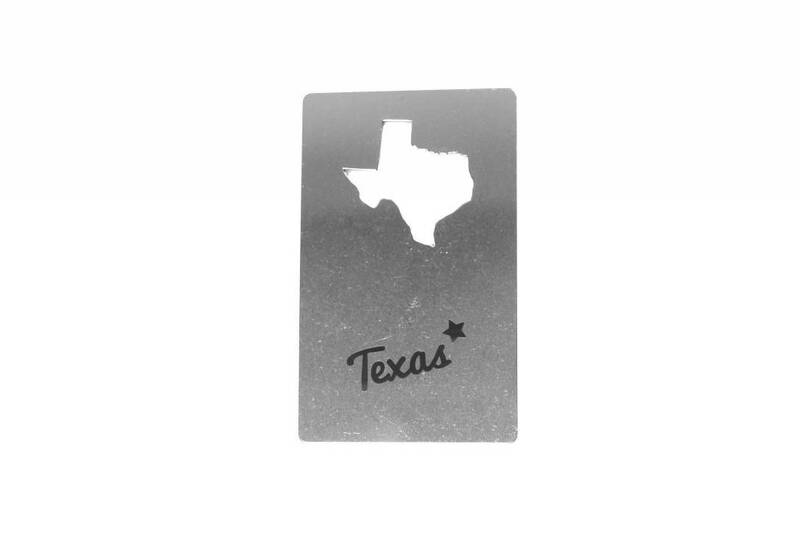 Stainless steel and the size of a credit card, it's easy to keep this bottle opener with you. 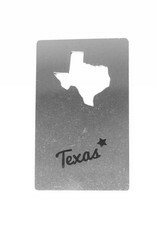 The state cut out is the bottle opener, and has been scaled to perfectly open to pop a bottle cap off.